The Website may also post links to Third-Party Websites over which we have no control. As such, we are not responsible for the privacy policies or practices of other web sites when You choose to link from the Website. We encourage You to review the privacy policies of those Third-Party Websites so You can understand how they collect, use and share Your information. We also do not control the data use practices of those persons or entities who may access Your information on the Website for the purposes of providing the service or product You have requested or third party Ad Networks and other third parties with whom we work to serve You personalized ads on the Website. We encourage You to review the privacy policies and opt-out choices of those third parties so You can understand how they collect, use and share Your Information. Filter King may collect the following general types of information about You when You visit and use our Website: personal information, demographic information, behavioral information, indirect information and Web Technology Information). Sometimes we collect combinations of these types of information. Any other information You provide to use during the registration process or though the course of communicating with us about the products and services provided on the Website. Demographic Information. Demographic information is information that may or may not be unique to You in the sense that it refers to selected population characteristics. Such information may include, but is not limited to, zip code, telephone numbers (including cell phone numbers and carriers), birth date, gender, salary range, education and marital status, occupation, industry of employment, personal and online interests. Behavioral information. Demographic information is information pertaining to how You use our Website, the areas of our Website that You visit, what services You access, and information about Your computer hardware and software including Your IP address, geographic location, browser preference, operating system type, domain names, times that You access the internet and other websites You have been referred to us through. This information is necessary for analyzing the use of resources, troubleshooting problems, preventing fraud, and improving our services and products. Indirect Information. Indirect information is information that we acquire from a third party which may include personal, demographic, behavioral and indirect information. We obtain this information so that we can personalize the advertising to You shown our Website. No Information Collected from Children. Filter King will never knowingly collect any Personal Information about children under the age of 13. If Filter King obtains actual knowledge that it has collected Personal Information about a child under the age of 13, that information will be immediately deleted from its database. Because it does not collect such information, Filter King has no such information to use or to disclose to third parties. Credit Card Information and Bank Account Information. Filter King may, in certain instances, collect credit card numbers, bank account information and related information when users place an order on the Website. Filter King will use the credit card information or bank account information for purposes of processing and completing the transaction You requested on the Website, and the credit card information or bank account information will be disclosed to third parties as necessary to complete the requested purchase transaction. We may allow third party advertising companies or ad networks to display advertisements on our Website. These companies may use tracking tools, such as cookies, to collect information about computers used to visit our Website or view/interact with their advertisements. Some of these companies may be members of the Network Advertising Initiative, which offers consumers the ability to opt out of ad targeting by all member companies. “Cookies” are a feature in Your browser software. A cookie is a small text file that is stored on a user’s computer for record keeping purposes. If enabled, we may write cookies that may store small amounts of data on Your computer about Your visit to any of the pages of this Webiste. Filter King uses both session cookies, which terminate when a user closes his/her browser, and persistent cookies, which remain on the user’s computer until manually deleted. Filter King predominately uses “session” cookies, which are not permanently stored on Your hard drive. Session cookies expire after two hours of inactivity or when You close Your browser. When You carry out the purchase of a service or product on our Website, a large amount of data is processed by our system and transferred through each page of the search or registration. This information includes all information You input on a registration page or questionnaire You complete as part of the registration process as well as demographic information that is not unique to You. “Session” cookies allow us to keep track of this data until You have completed Your search or registration. Filter King may use “persistent” cookies primarily to ensure that we do not show You pages that You have already seen and to personalize Your Website experience and save You time. “Persistent” Cookies enable us to recognize whether You have responded to any questionnaire or registration or have already been presented with an advertisement or information placed on the site so that we do not show You the same information again the next time You visit the Website. The “persistent” cookies we use will remain on Your computer after You have left the Website and will expire when You log out of the Website or 60 days after Your last visit for security cookies, 90 days after Your last visit for payment tracking cookies, or two years after Your last visit for advertisement cookies. Third-Party Cookies. Filter King may also allow other companies to display advertisements to You while You are visiting the Website. Because Your web browser must request these advertisements from the other companies’ servers, these companies can view, edit or set their own cookies, just as if You had requested a web page from the Website. We have no control over the practices of those third party advertisers and are not responsible for their technology or tracking. We encourage You to review the policies of such advertisers when You link to their website. Removing Cookies. You have the ability to accept, decline, move or remove cookies at any time by modifying Your browser settings. Please see http://cookiecentral.com. If You choose to decline cookies, however, that may hinder performance and negatively impact You experience on the Website. Filter King also uses electronic images known as Web beacons (sometimes called single-pixel gifs, clear gifs or action tags) that allow us to collect certain information about Your visit to the Website (including the number of users who have visited those pages), measure and improve the effectiveness of advertisements, and deliver services. Web beacons are not used to access Your personally identifiable information; they are a technique used to compile aggregated statistics about web site usage. Web beacons collect only a limited set of information including a cookie number, time and date of page view and a description of the page on which the Web beacon resides. This information may be shared with one or more third parties so that they can understand the kinds of visitors to the Website, how those visitors use the Website, and the effectiveness of their advertisements. We may also use web beacons in email messages sent to individuals listed in our database. Your Internet Protocol (“IP”) is a unique Internet “address” which is assigned to You by Your Internet Service Provider (“ISP”). For local area network (“LAN”), DSL, or cable modem users, an IP address may be permanently assigned to a particular computer. IP addresses are automatically logged by Web servers, collecting information about a user’s traffic patterns. While the IP address does not identify an individual by name, it may, with the cooperation of the ISP, be used to locate and identify an individual using the Web. Your IP address can, however, reveal what geographic area You are connecting from, or which ISP You are using. Finally, other websites You visit have IP addresses, and we may collect the IP addresses of those websites and their pages. We automatically track certain information based upon Your behavior on the Website. We may use this information to do internal research on our users’ demographics, interests, and behavior to better understand, protect and serve You and our community. This information may include the URL that You just came from (whether this URL is on the Website or not), which URL You go to next (whether this URL is on the Website or not), Your computer browser information, and Your IP address. When You visit the Website, Filter King tracks IP addresses, browser type, ISP, referring/exit pages, platform type, date/time stamp and number of clicks to analyze trends and administer the Website, track user’s movement in the aggregate and gather broad demographic information for aggregate use. We use Your IP address at times to help identify You as You browse and to gather broad technical and demographic information on who uses the Site. Gathering Your Information. Third parties, including ad agencies and networks may use their own cookies, web beacons, and other technology to collect information about You. We do not control the use of such technology and have no responsibility for the use of such technology to gather information about You. Hyperlinks on the Website or Emails to You. The Website and our email messages sometimes contain hypertext links to the websites of third parties. We are not responsible for the privacy practices or the content of such other websites. Such links are provided for Your convenience and reference only. We do not operate or control in any respect any information, software, products or services available on such third party websites. The inclusion of a link to a website does not imply any endorsement of the services or the site, its contents, or its sponsoring organization. Filter King may use Your Information to advertise, directly or indirectly, to individuals using direct mail marketing or telemarketing using telephones and cell phones. You may have Your telephone number or cell phone number listed on a state or federal do not call registry. By Using the Service, You agree that such act constitutes a purchase, an inquiry and/or an application for purposes of the Amended Telemarketing Sales Rule, 16 CFR §310 et seq. (the “ATSR”). Notwithstanding that Your telephone number may be listed on the Federal Trade Commission’s Do-Not-Call List, You have authorized us to contact You via telemarketing in accordance with the ATSR. Moreover, by registering with, or requesting information from, a third-party advertiser at or through the Website or other advertisement media made available by us (e.g., email marketing), You agree that such action shall constitute a purchase, an inquiry and/or an application with the respective third-party advertiser for purposes of the ATSR and You may be contacted via email, direct mail and/or telemarketing by such third-party advertiser in accordance with the ATSR. We may use Your Information to provide the services You have requested, including services that display customized content and advertising. To Provide Services and Products to You. Filter King uses Your Information for the purposes of providing the services and or products You have requested, including employment opportunities. This may include passing Your Information on to a third party with which we have a contract to provide such services. Although our contractual arrangement may limit how such third party can use Your Information, we do not control the privacy practices of this third party. If You have any questions or wish to remove Your Information from the third party’s database, You will need to contact that party directly. To Make Filter King Better For You. We use the information we gather on the Website to respond to any inquires You make; operate and improve the Website, improve and create a positive user experience; and deliver the products and services advertised on the Website. Our services include the display of personalized products, content, and advertising relating to Your experience and interests. We may provide Your email address to third parties for purposes of sending You career content and promotional offers via email. The offers You receive via email may be our services and products or those of third parties. We may maintain separate email lists for different purposes. If email recipients wish to end their email subscription from a particular list, they need to follow the instructions at the end of each email message to unsubscribe from the particular list. To unsubscribe from Filter King’s email lists, You must click the unsubscribe button at the bottom of the email or send an email to [email protected] King.com. You may receive certain commercial email messages sent by third parties for products or services, including employment opportunities, which may be of interest to You. Filter King is not responsible for third party emails sent to You. Information You post in public areas of the Website or place in the searchable database will be accessed, used, and stored by others around the world, including those in countries that might not have legislation that guarantees adequate protection of personal information as defined by Your country of residence. By providing Your personal information for inclusion in our database, You acknowledge that You consent to Your information being used as described here. 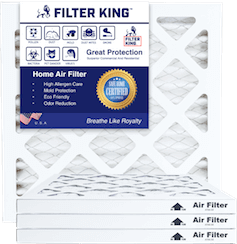 While Filter King uses commercial industry standards to safeguard Your information from unauthorized access or inappropriate use by third parties, we do not control these third parties and we are not responsible for their use of information You post or otherwise make available in the public areas of our Website. Please be sure You do not post sensitive information in these areas. To Deliver The Products and Services You Request. Filter King may share Your Information with third parties who help us in the delivery the products and services You have requested. We disclose Your Information to companies and individuals we employ to perform technical functions on our behalf. Examples include third parties who host our website, analyze our data, provide marketing assistance, process credit card payments, and provide customer service. These companies and individuals may not share Your Information with any other third party or use that data for any other purpose. To Determine What Opportunities Are Right For You. Filter King may disclose Your Information to third parties to provide You with career-related information and to contact You about other opportunities, products or services of third parties. Filter King uses Your Information, including interests and preferences You have expressed, to determine whether You might be interested in the opportunities, products or services of a particular third party. This type of marketing may be in the form of email offers, display advertising by Filter King or third parties, mobile offers sent by third parties or telemarketing calls from third parties. If Filter King Is Legally Required To. Filter King discloses information if legally required to do so, or at our sole discretion pursuant to a request from a governmental entity, to conform to legal requirements or comply with legal process, to protect our rights or property or our affiliated companies, to prevent a crime or protect national security; or to protect the personal safety of users or the public. In The Event of a Merger or Acquisition of Filter King. Filter King may disclose and transfer Your Information to a third party who acquires any or all of our business, whether such acquisition is by way of merger, consolidation or purchase of all or a substantial portion of our assets. In addition, in the event Filter King becomes the subject of an insolvency proceeding, whether voluntary or involuntary, we or our liquidator, administrator, receiver or administrative receiver may sell, license or otherwise dispose of Your Information in a transaction approved by the court. You will be notified of the sale of all or a substantial portion of our business to a third party by email or through a prominent notice posted on the Website. In each of these situations, the recipients of Your Information may potentially be located in any country in the world. Miscellaneous. Filter King may also share aggregated anonymous information about You and other persons using the Website with third parties so that they can understand the kinds of visitors to the Website and how those visitors use the Website. This includes demographic information and behavioral information. In order to protect Your Information submitted through the Website, Filter King has implemented various security measures. As an initial matter, Filter King provides industry standard protection for all of the information submitted on the Website. Additionally, Filter King provides these added protections: (1) encrypted data transfers to the Website to our servers and (2) remote IP-specific access to data storage. Filter King does not store any financial information (i.e. credit card information) in its servers that are transmitted by You. Any financial information transmitted by You is processed by Stripe, a secure, third party payment processor that is Payment Card Industry compliant. For more information on PCI compliance, please visit https://www.pcicomplianceguide.org/pci-faqs-2/. Although Filter King takse commercially reasonable technological precautions to protect Your data, no data transmission over the Internet can be guaranteed to be 100% secure. Filter King does not warrant or guarantee that Your Information will be absolutely secure. Any transmission of data, including Your Information, at or through the Website is at Your own risk. Individual customers who reside in California and have provided their personal information may request information regarding disclosures of this information to third parties for direct marketing purposes. Place your Email below to get $5 dollars off your first order. Get notified with new updated specials for your next orders.